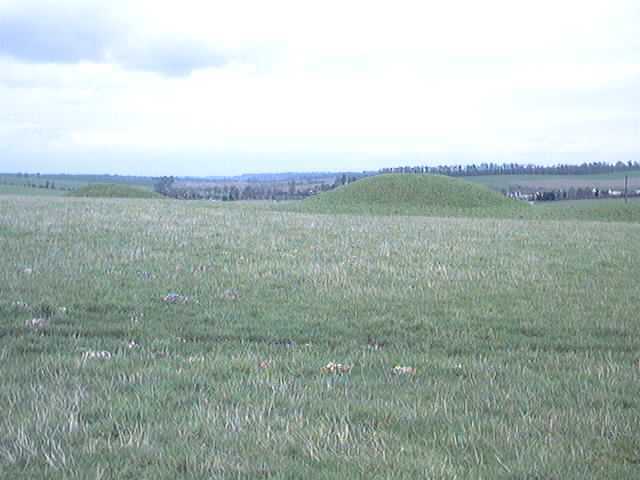 This whole area is particularly rich in pre-historic sites. 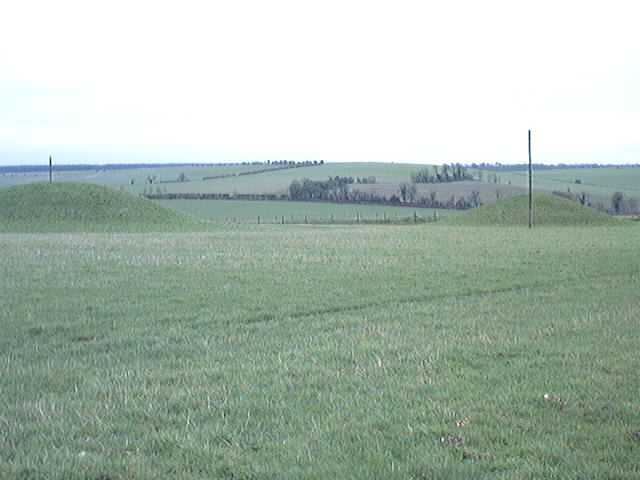 About a mile away is Avebury, just west along the main road is Silbury Hill, West Kennet long-barrow is very close by, and The Sanctuary is immediately adjacent, on the southern side of the A4. 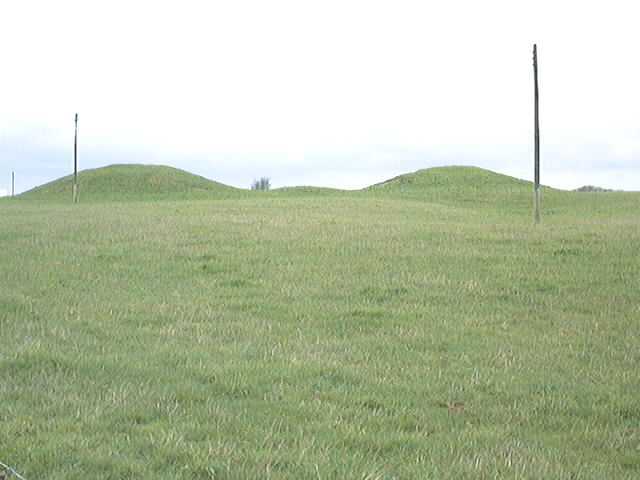 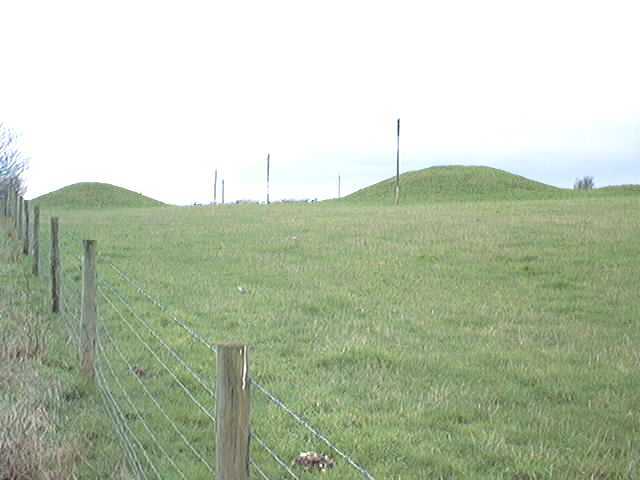 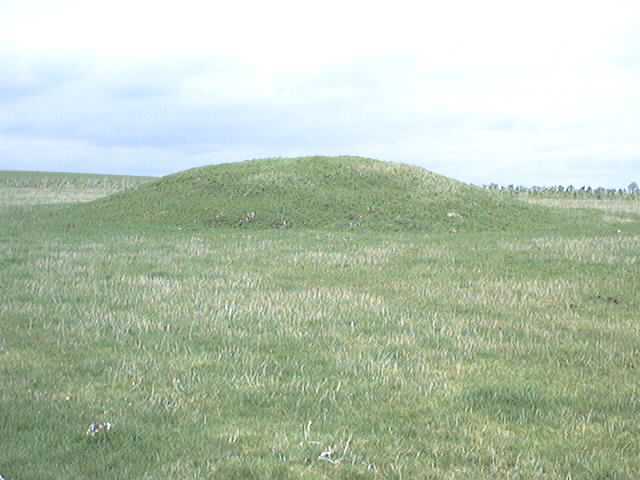 This barrow cemetery dates from the Bronze Age, probably around 2000BC. 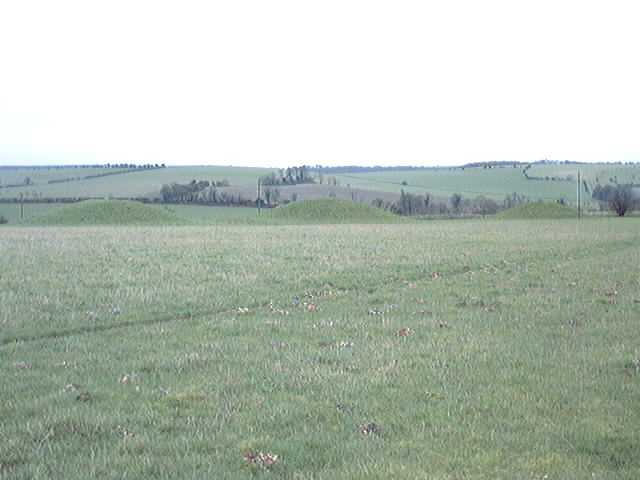 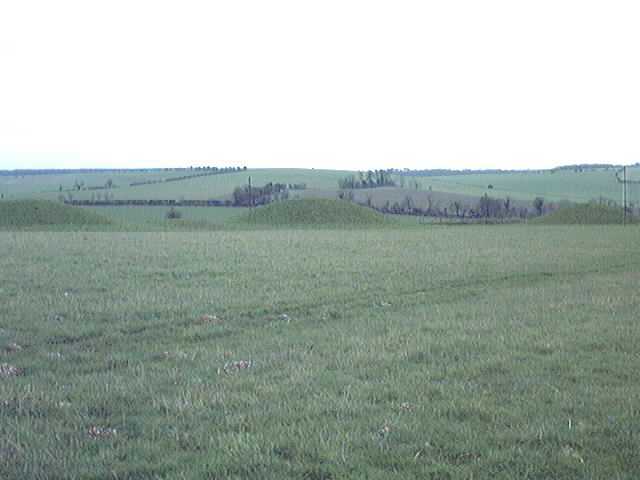 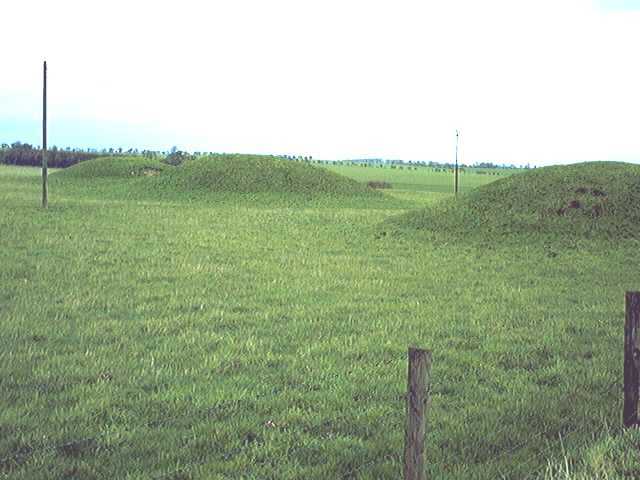 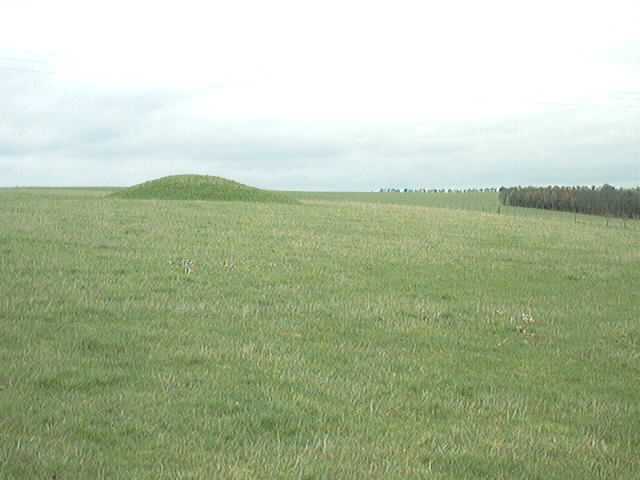 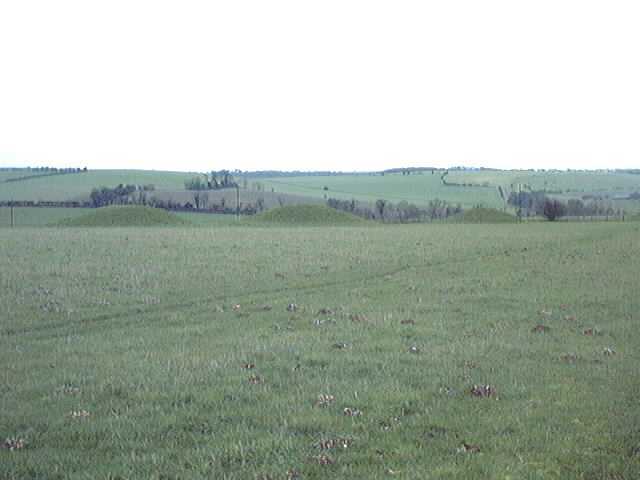 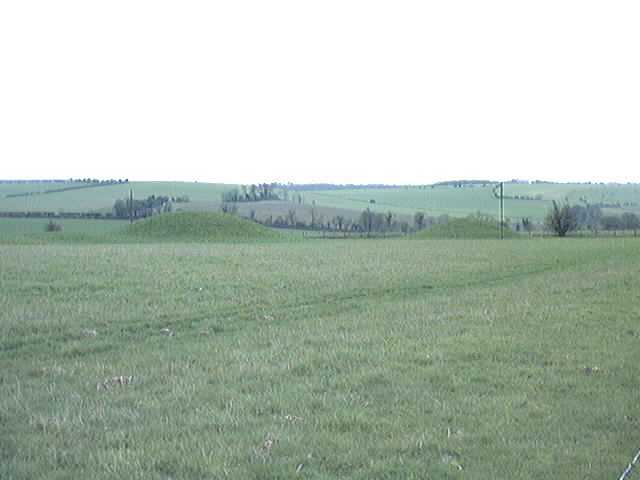 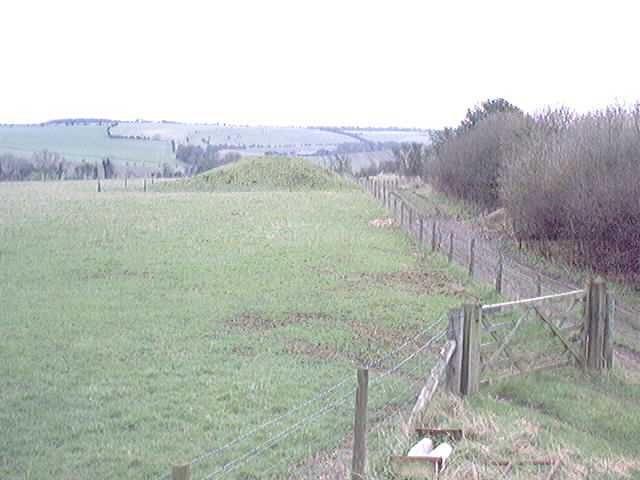 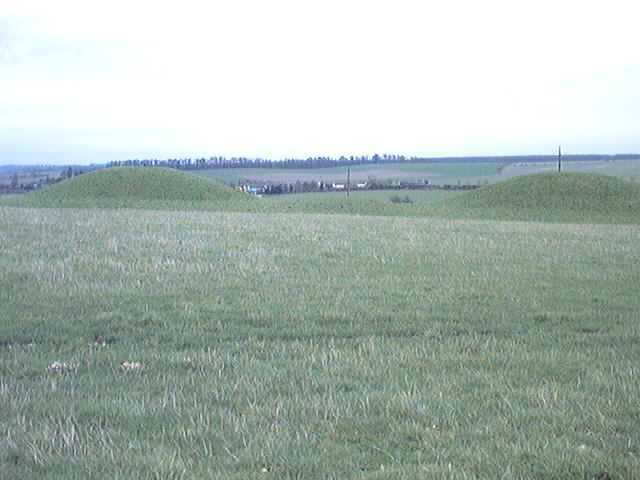 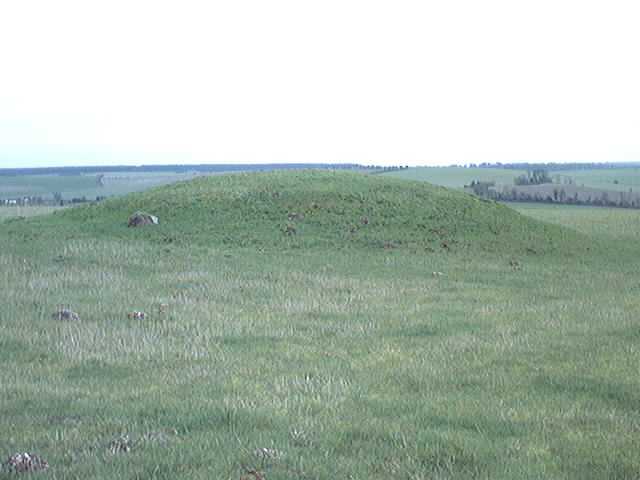 The most easily visible group of barrows is on the northern side of the A4, and east of The Ridgeway, where there are three mounds in a row, one a little further north and another slightly to the north-east. 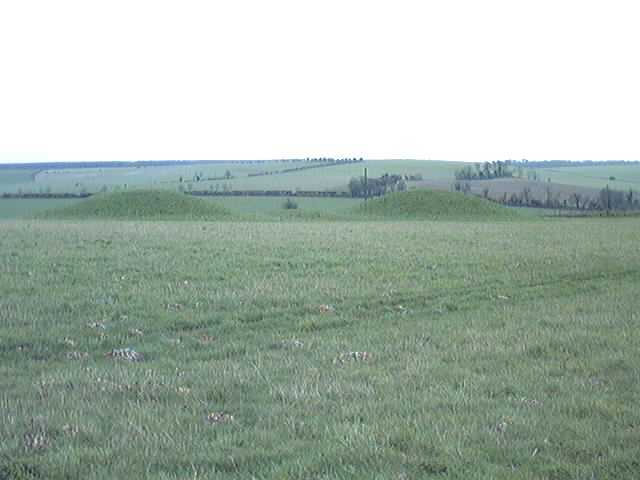 The remains of several other barrows lie on the south side of the A4, on both the east and west sides of The Ridgeway, but only one of these can easily be seen. 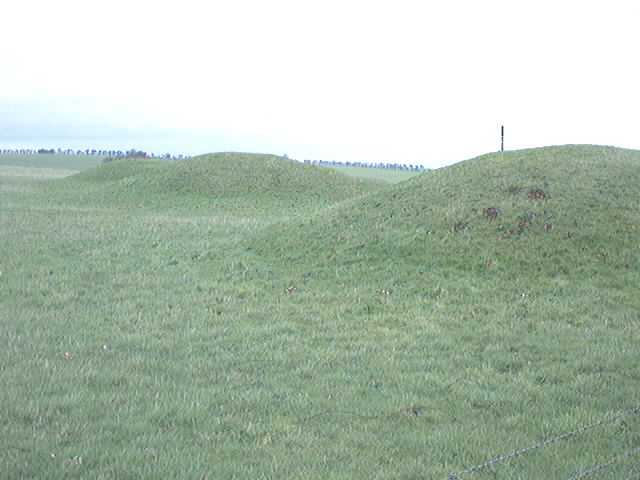 There's another group of three or four barows north of the A4 and west of the Ridgeway, but these are now fairly insignificant in size, probably as a result of agricultural erosion.